As a way to celebrate Valentines Day, I've decided to share a playlist that is dear to my heart and so full of love. These are songs that I collected throughout my engagement that evoked so much joy and happiness during such an exciting season in my life and I hope it finds a way to do the same for you! First off, happy New Year to all of our wonderful friends and supporters! While 2017 has been one of the best years, it has come to an end, and 2018 is already full of new beginnings. We've had the wonderful opportunity of starting and building this incredible business as best friends, and we have both found the past two and a half years to be transformative. With the turn of this new season we've felt the pull of change with our families and careers and have decided to move forward in different directions. Amber will be shifting her focus to her family and her new job, while I (Cassie) will continue on this entrepreneurial journey. With this transition, it's important to note that our friendship is stronger than ever, and that's not something that will ever change. As I prepare to take my first steps forward in a new season of this business, I would like to express my gratitude for every client and vendor that has supported us to this point, we couldn't have gotten here without you. We are both overjoyed to see what our futures hold moving forward! Best wishes in 2018! Are you stumped on what to get your engaged friends? 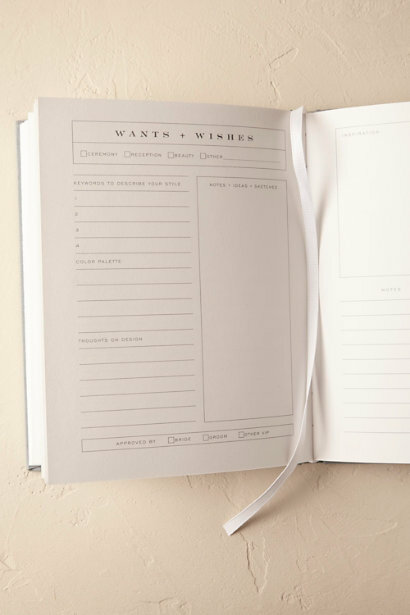 Whether it be a holiday gift, engagement gift, or bridal shower gift, this is a curated list of our go-to resources for bridal gifting. Happy shopping! There are always times when a bride needs to take off her beautiful ring. We suggest having a safe space to keep it. Some of our favorites are handmade ring dishes, Mrs. boxes, or a beautiful glass box that she can keep on her bedside table. Whether it’s for wedding planning stress relief, or preparation for the big day, a bride can always use some artisan skincare products that promote relaxation and natural ingredients. We're sure you've seen the cliché engagement mugs everywhere with, ‘soon to be mrs’ or ‘does this ring make me look engaged?’ plastered all over them, and to each their own, but we love the idea of tossing that idea to the side, and instead getting something unique and handmade that they will adore for years to come. p.s. It’s always a good idea to get a set! We wholeheartedly believe that a beautiful love story is worth capturing every moment. 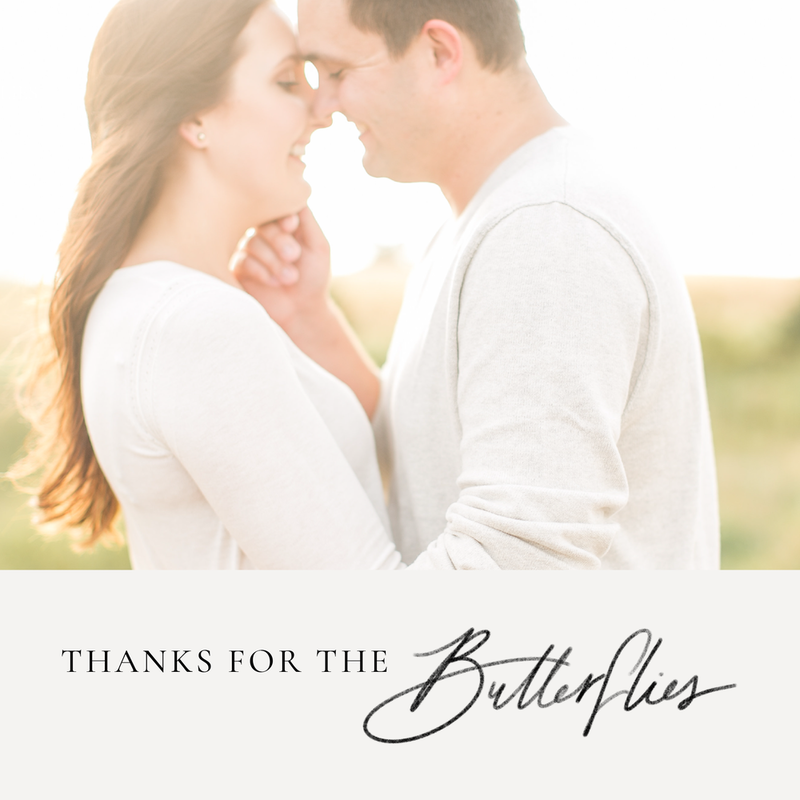 Whether it’s recording the exciting season of their engagement, the honeymoon, or their life as a newly married couple, this gift will keep on giving. We, of course, are quite partial to this inexpensive film camera due to the timeless quality of the photos it captures. Be sure to include some film in your gift! They will then be able to develop it into prints for their home, or digitize them through one of the many film labs across the country. A wedding planner is perfect for the most recently engaged brides to give them a place to keep their thoughts, ideas, and wedding plans in one place. The perfect little tool to carry in your purse and clean up your ring when heading out for an event or date night. Every newly engaged woman wants to show off their new accessory, and this is the perfect gift to make sure it always sparkles. Simple, delicate, and a beautiful reminder of their love. Get their initials or wedding day stamped into one of these bar necklaces that they can wear for years to come as a reminder of their special day. Sometimes the most special gift you can give to a couple is the gift of quality time together. Our personal favorite gifts have been gift cards to our favorite restaurants, movies, hotel night, etc. You know your engaged friends better than we do, what would their dream date night be? It could be something as simple as a nice bottle of wine and a movie, if you're on a tight budget. Want more fun posts like this? Comment below to let us know! p.s. For other tips or insight into wedding stationery & planning, click here and be sure to subscribe to receive more tips, tricks, resources, discounts, launches, and business update information! Vintage stamps have been a long time love of mine. They're the perfect addition to any envelope to elevate the experience from your guests' first sight. I'm sure I’m not the only one who has a hard time finding normal stamps that go with my aesthetic. So by popular demand, I’m covering all the details on vintage stamps, including how to choose the right ones and who my recommended stamp vendors are. There's nothing worse than realizing your piece is not post office friendly when you go to send them. Make sure your stamps add up to the current postage rates. Right now this rate is $0.50 (going up to $.55 in 2019) for standard sized envelopes, and $0.70 for anything square, irregular, overweight, or that has to be hand cancelled due to wax seals or something. I recommend having at least one stamp equaling 25 cents or more and then using 1-20 cent stamps to round it out to the right rate. Your stamps should have an overall theme and color scheme. If your wedding has a very specific color scheme, you should probably adhere to that before anything else. I also like to choose a theme, such as botanicals, or something that is personal to the couple. For example, if you are from the midwest, but your groom is from the East coast, try to find coordinating stamps that feature aspects of each person's background. This is a beautiful way to bring in those personal details that don't always get included in the invite suite itself. You should always plan out how you're going to lay out the stamps before purchasing them to make sure you have room for the address, especially if they're going to be calligraphed. Along with that, you'll want to make sure you like the way they all look side-by-side. I do this by taking screenshots of the stamps we're thinking about, and then laying them out on a 5x7 square (that's the same color of the envelope). You'll quickly figure out that vintage stamps do cost more than modern day postage. This is because of the rarity of the stamps and you're paying that vendor for taking the time to find and take care of the stamps. That being said, I wholeheartedly believe that if it fits in your budget, it's absolutely worth investing in to make that personal statement. I suggest budgeting at least $2.50 per invitation suite, including the response envelope! Pro Tip: If there's a modern day stamp that fits in your color scheme/theme, try incorporating it into your layout to save money! I used this tactic on the invite suite below, and look how lovely it turned out! Here's a list of vendors I use to source our vintage stamps... I have had nothing but good experiences with each of these lovely people! If you have any other recommendations, I'd love to hear them! That being said, there are vendors out there who sell previously used stamps (which cannot be used in the postal system, but are also often used for crafts, decor or styling) Along with that, I've also heard horror stories about stamp knock-offs, so be careful and make sure you read reviews! Do you have more questions regarding stationery, design, branding, or weddings? I love journal topic suggestions! Leave me a message! HOW DOES SEMI-CUSTOM WEDDING STATIONERY WORK? Fun fact: when we were planning our own weddings, we felt very out of our element despite our place in the wedding industry. Why? Because we had never planned a wedding before. Sure, we had been to many, but that does not prepare you for the nitty gritty details and decisions to be made. We want to cut down on those decisions and make your planning easier so that you can enjoy your engagement to the fullest, because it goes too fast. We've broken down the need-to-know details about our semi-custom goods, so if you're thinking about utilizing this option, you don't have to be confused and left in the dark. First, you choose your semi-custom suite and customize your details by choosing your quantity, print method, paper color, envelope color, ink color, calligraphy style*, and filling out our information form. Add any additional adornments, including guest address printing via our shop prior to checking out. You will receive an initial proof of your invitation suite within seven business days of placing your order. Please review all of the information carefully and make sure everything looks as it should! One revision is included after you see the first proof: this covers any changes to information/wording. Please note that once you have approved the second and final proof, no more changes can be made. Once you have approved the final proof, your files will be sent to the printer. Printing usually takes about three weeks. Your finished invitations will be carefully packaged and shipped to you! Please plan on an additional two weeks for processing and shipment. Your invitations will arrive in your mailbox five to eight weeks after you place your order. If you choose letterpress or foil printing, please allow an additional two weeks. If you are ordering internationally, also plan on an additional week for shipping. If you require a shorter turnaround, please contact us for a custom quote to rush your order. Orders are currently limited to 25 - 150 invitations, and 50-200 day-of items. Please contact us for a custom quote if you need a smaller or larger number of invitations. We highly recommend ordering 10 - 15 extra pieces for last-minute guests, keepsakes, and photographs on the wedding day. We only source quality papers that have a luxurious feel, without being too pricy. To keep it simple, we've narrowed it down to two paper options for you: Pearl White (ivory), and Fluorescent White (clean white). These are both Crane Lettra cotton papers which have a soft, fine matte texture with clean edges. Both papers are a nice 90# weight. With three printing methods, we're able to offer greater customization and elevated looks for couples with varying budgets. We've outlined the three methods below. Flat printing consists of a high-quality laser printer transferring the design onto paper. The finished invitation will look crisp, clean, and smooth. Letterpress printing is a technique of relief printing using a printing press. Custom dies are positioned into the bed of the press and inked, then paper is pressed against it to transfer the ink, creating an impression. This method creates an elegant, tactile effect. Foil printing is the application of metallic foil, to paper where a heated die is stamped onto the foil, making it adhere to the surface leaving the design of the die on the paper. If you choose this option, every piece in your suite will be of the same foil color. Color options include gold, silver, and rose gold. 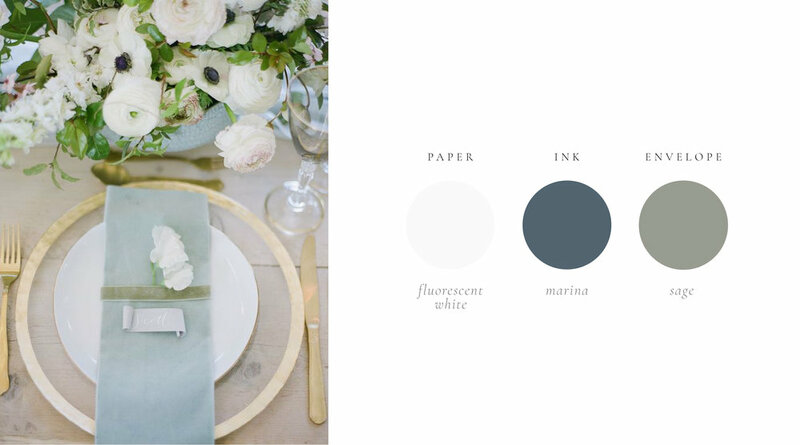 Our envelope colors are hand picked and sourced from our favorite vendors, offering complimentary color schemes that adhere to the fine art aesthetic. Each of our envelope color options are very close to their corresponding ink colors, but won't be a perfect match due to printing and screen variations. Our envelope colors are on the lighter end of the spectrum to allow envelope address printing to be legible. Similarly to envelope colors, we've carefully curated a selection of ink colors that compliment the style of the suites, and envelope colors. Our ink color options can be used slightly differently within each different suite. Please use read the listing carefully to specify what parts of the design will be changed to your ink color. We've spent hours upon hours fine-tuning each piece to look its best, therefore at this time we do not change font families in order to keep the integrity of our designs. All fonts will remain as they are in the suite pictured on the listing page. If the suite features calligraphy, you will have a choice between two calligraphy styles. To further customize your paper goods, we've included adornment options in our shop for a selection of additional stationery, day-of items, wax seals, digital addressing, and more. We hope this has been helpful in your journey to find the perfect wedding stationery. And if you do choose to be a Gatherie bride, we'll make sure you're well taken care of. Let us know if you have any additional questions! If you haven't already heard, we'll be launching our semi-custom shop on September 27th. We decided to create semi-custom suites for brides with certain circumstances who want beautiful paper goods for their special day. We're going to outline three good reasons why semi-custom might be right for you! Semi-custom suites vary from stationer to stationer, as well as the options that come with them. Our suites are all 5-pieces (invite, rsvp, rsvp envelope, detail card, & outer envelope), with the ability to add embellishments & day-of goods. Each piece is customizable to your names, information, wording style, as well as printing process, ink color, calligraphy style, paper color, and envelope color. We've said it before, but we were recently brides, and we understand the stress of budgeting for a wedding. The initial concept for a semi-custom line popped into our heads when we realized what other brides were going through, and we wanted to have a solution. We'll be the first to admit that we have expensive taste. But why shouldn't you have your dreamy wedding? When it comes to budget, semi-custom suites allow you to get the biggest bang for your buck. You still get a beautiful design, but for a lower price than custom work. These suites require you to save on design time, due to the fact that the suite is pre-designed, all that needs to happen is editing the information and colors that you choose. Semi-custom can save you up to $500, which in wedding world, is a whole cake! Maybe you have a decent budget for wedding stationery, but you really want a lot of paper goods incorporated into your day? This is where that extra ~$500 can get you some menus or place cards. We often get requests from couples that are either running a bit behind on their wedding stationery and don't have time to design something custom, or they have a short engagement and they desire a unique and organic aesthetic. As a general rule of thumb, we recommend our clients reach out 3-6 months prior to their wedding. Once you've reached the 8 week mark, we recommend that you choose a semi-custom suite, or if you still desire a completely custom design, there's usually a rush fee that goes along with that. This fee varies based on your stationer, but generally hovers around 20% of your total. Maybe you're just a busy gal and you don't have time to go through the process of designing custom wedding paper goods. We get it, planning is not a walk in the park, and coordinating with another vendor could put your inbox over the edge. Our shop will be simple and easy to go through, and you could be checked out within 15 minutes. On top of that, we handle everything behind the scenes, so all you have to do is click purchase, approve, and wait for the arrival of your beautiful paper goods. Here's a sneak peek of what you will find in our shop! This all being said, semi-custom is not for everyone. If you're looking for something personalized to you, your venue, or your wedding theme, we do not recommend that you settle for anything less than custom. The impact that comes with custom paper goods is worth every penny, as well as the memories that your heirloom suite brings back for years to come. Along with custom design, comes a lifelong friendship from yours truly. We aspire for our custom clients to feel like more than just a client, but like family. So which is the perfect route for you? 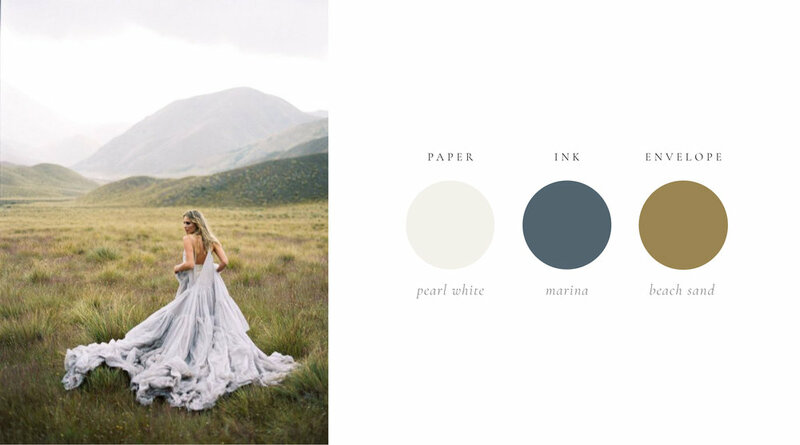 One of the many reasons we love wedding paper design is because of the textural elements we can infuse into a design to create a tactile experience for the beholder. We've made it our mission to find the perfect raw materials to add to our designs, including handmade papers. Their beautiful raw edges and individuality are characterized by the hands by which they were made. Each blemish and imperfection reflects the inevitable flaws of human nature, and in our opinion, there's nothing more incredible. See our list of our favorite handmade paper vendors, as well as a comparison of each of their papers below! Silk & Willow's handmade papers are the most textured and durable of the bunch. Their durability comes from the strength of the 100% recycled cotton rag fibers from t-shirt cuttings (how cool is that?). None of their papers are bleached or dyed and carry their own unique qualities as most handmade papers do. We have not personally tried this on an inkjet printer, but due to the thickness and texture, we don't believe it would be a good candidate. Silk & Willow paper is ethically made in India. Arpa's papers are the most readily-available papers we've found. They're also the most keen to printing at home, due to their subtle texture and deckling. These papers come in a variety of colors, including grey, ivory, lavender, pale blue, pale pink, sage, and salmon, as well as a variety of European sizing (which is slightly unusual). Arpa's pulp mixture includes pure cotton and linen fibers that create such a soft, subtle texture and slight deckling. These papers are our go-to for larger quantities! Fabulous Fancy Pants handmade paper was one of the first we ever bought, and we've been in love ever since. Their paper is made of 100% cotton rag using cotton textile remnants. Each piece is handmade on an individual screen and carries the natural color and qualities that comes with the hand making process, including varying speckles from the fibers. Their paper carries a slight linen-like texture that is a design element in itself. We have been able to inkjet print on these papers, but only a few at a time before you have to clean the heads again. These are ideal for letterpress and calligraphy. Fabulous Fancy Pants does not offer dyed handmade papers. When we first got our hands on Owl Post Calligraphy's handmade paper, we were in love. The deckled edging is to die for. Along with that, she creates a selection of beautiful colors that creates a uniqueness in itself. 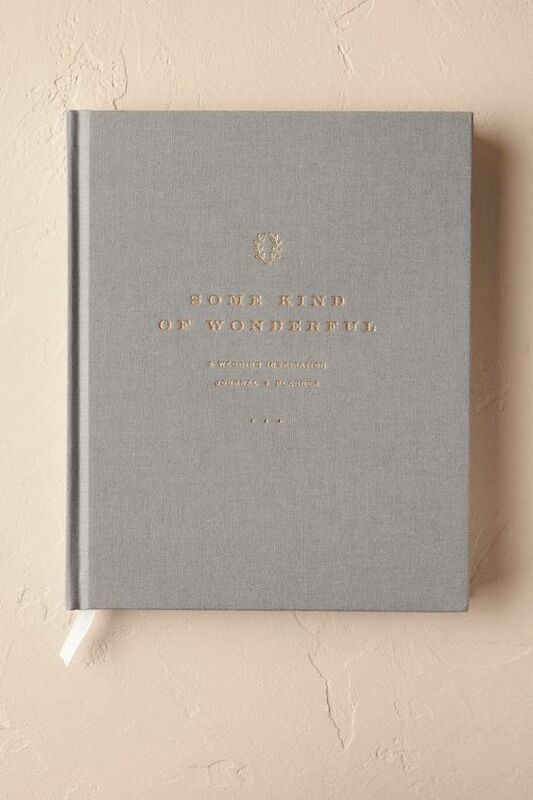 Owl Post's papers are also made of 100% cotton rag, and the texture is perfectly-subtle. We also must note that her envelopes come in a straight flap, which is unique from most other handmade envelopes. Owl Post will forever be one of our favorite vendors for beautiful colors, however stock is usually limited, so you have to be quick to purchase! When we heard Tara Spencer would be creating her own line of handmade papers, we almost fell out of our chairs. We've followed Tara for quite some time and we've always been mesmerized by not only her designs, but her custom paper, and now it's available to the public! Each piece is so perfectly incredible with the delicate and wild deckled edges and a super soft and smooth texture. The best of all, her papers work well in almost any situation. Right now she carries mostly neutral colors, including off-white, sand, and black, and limited sizing options. Idyll Paper is handmade in Canada. 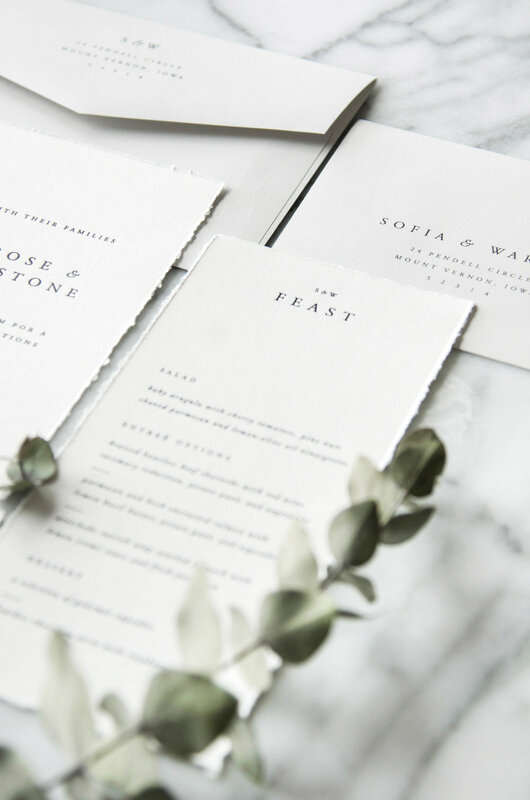 Farmette Press has been taking the fine art stationery world by storm since she announced her launch this past summer and she's sparked quite the conversation about her beautiful papers and letterpress services. 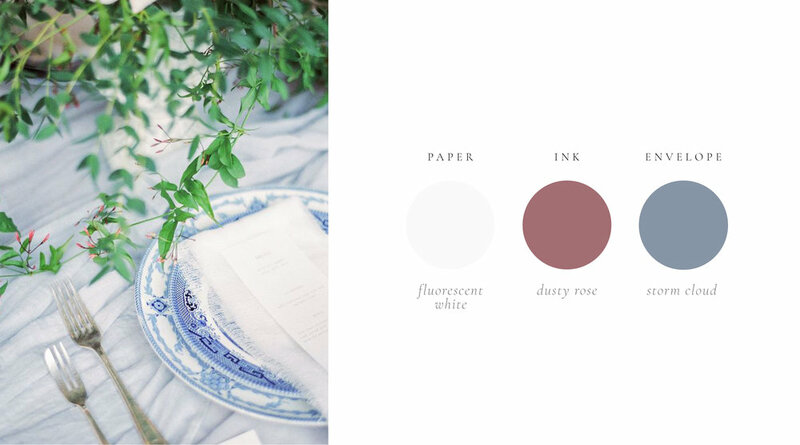 Their wide variety of naturally dyed and perfectly imperfect papers look sooo dreamy! We haven't yet had the chance to get our hands on her papers, but we're looking for any good reason to! We've been following Share Studios for quite some time, and we must say, her Instagram Stories are mesmerizing as she shows certain parts of the paper-making process, along with cute snaps of her two puppies! Stephanie creates many different kinds of papers with different fibers and dyes, and she even incorporates different elements such as gold leaf and feathers to make her paper even more beautiful and unique! We can't wait for the chance to order some of her gorgeous papers! We hope this helps any of you in search of the perfect handmade paper for your project. If you'd like to know more about handmade paper, or any other wedding stationery related topic, feel free to reach out! Wax seals were traditionally created to authenticate documents, eliminate forgery, and prove identification - how cool is that?! The modern day wax seals have become a popular way to fasten invitations, packaging, and create a lasting impression. They take the form of an engraved die with a handle, that creates an impression in melted wax. There are so many creative ways to incorporate this historically important detail into your wedding day details or branding. You can even adorn your business cards with wax seals! What kind of wax is best for you? Wicked Wax is best when you're trying to achieve a smaller batch of seals and/or seals in different colors. Glue Gun Wax is best when you're creating a larger quantity of wax seals. Beaded Wax is the best method when you're trying to achieve smaller batches of seals in different colors. *We recommend choosing flexible wax in order to avoid any cracking of the wax. We personally use the glue gun wax method most often due to the larger quantities we are working with. However, many parts of our process applies to the other methods as well. 1 // Heat up your glue gun, insert your wax stick, and place your wax seal die on ice (this will allow for a faster process, as the wax will harden quicker). 2 // Depending on the size of your die, you'll need to test out how much wax is needed to achieve the look you're going for. Once you've found your perfect wax amount, begin pouring for the first seal. 3 // Place your die in the center of the melted wax. Check to make sure your die is facing the right direction prior to stamping if you're applying this directly to an envelope or finished piece. 4 // Let cool for 10-15 seconds before removing the die and placing it back on ice. If you're wanting to wax seal a string or ribbon without adhering to the materials underneath, place a small piece of wax paper between the string/ribbon & printed materials and follow the steps above. Once it's dry, peel the wax paper off. While wax seals are absolutely beautiful, the postal service isn't too fond of them. We recommend sending your wax sealed mail either inside an outer envelope to protect the seal, which could increase the weight and postage cost, or by paying for an extra 21 cents of postage to have your mail hand-cancelled and non-machined. A money-saving and stylish way to achieve this look is by using the historic president heads USPS stamps along with 21 cents worth of matching vintage stamps from our favorite Etsy sellers: Pack & Post, Vintage Postage Shop, & Verde Studio. If you're budgeting for wax seals on your invitations, we recommend adding an extra $0.86 to each invitation ($0.65 for each seal, and $0.21 for the extra postage). We're obviously wax seal nerds, but we hope that rubbed off on you, because this world needs more beautiful wax seals! As always, let us know if you have any questions about wax seals or anything stationery, wedding, or business related! p.s. We will be listing our wax seals on our semi-custom shop coming September 27, 2017! p.s.s. For other tips or insight into wedding stationery & planning, click here and be sure to subscribe to our journal to receive updates straight to your inbox!